Their sculptural qualities suit both modern and antique interiors, making them a ubiquitous site in a wide range of properties. Specialist Richard Bebb of Welsh Antiques considers the evergreen charm of the Welsh stick chair and shares some buying advice. Stick chairs appeal to people in different ways. Their simplicity and functionality, with every constructional feature clearly visible, encapsulates a universal craft ideal and fits with modern ideas of design. Made from local readily-available material by craftsmen who produced a range of utilitarian objects for their communities, they capture the rural ideal. Robust enough for everyday use, easily maintained and repaired, they fit the ecological ethic. Enthusiasts refer to their power and sculptural qualities, encompassing ideas about the balance of the parts, the attributes of materials and surfaces, as well as the direct appeal to the aesthetic senses of the observer. How much of this was intentional and how much is in the eye of the beholder is another matter. But it would be wrong to think of these chairs as the unconscious product of anonymous craftsmen working in a time-warp. Each chair is different and was the result of a series of conscious design decisions by the maker, possibly in consultation with his client. Although the names of the makers are now forgotten, they would have been well-known within their communities and such pieces were important statements by both the craftsmen and the owners. There are rules for evaluating quality that collectors follow in their chosen subjects but these can be difficult to apply in this field, which has different and less tangible values. One of the usual markers, that of the age of a piece within its group, is particularly elusive. The interest lies in a chair having been made and used within a tradition, and in the case of stick chairs this can encompass anytime in the 18th and 19th centuries. These are such basic articles, with few parts, and it is important that the chair should be in its original form and that all of its components are original. But signs of usage, including extensive wear to the legs and a few dents and woodworm holes, are part of the appeal. They are often slightly loose, but firm up under the downward thrust of the weight of the sitter. Historical repairs, using metal bands or adding an extra leg, can be fine or even desirable. The amount of modern restoration which is acceptable is for each individual to decide. Furniture collectors want an original, untouched or wellpatinated surface, whatever these various terms might mean. 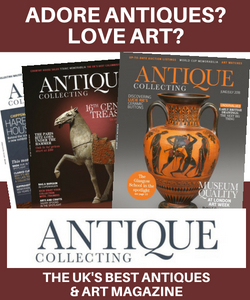 I can remember the last being described Antique Collecting magazine nearly 50 years ago as the result of “grease from the long hair of generations of rustics.” What is believed to be original paint is often a later finish, or sometimes a primer coat. In this folk art category, there is a feature desirable to many which might be called an ‘acquired’ finish – the accumulation of different layers and consequent attrition over the years, with various coats of varnish and paint (perhaps with a crusty or burned surface), mingling with sections of polished wood. 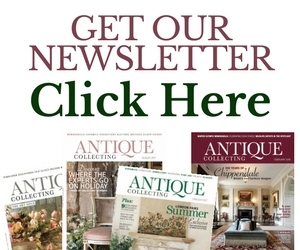 In an unpredictable period for antiques in recent years – to put it mildly – the demand for the best primitive and folk art items has held steady. In the present market it would be foolhardy to give precise valuations but I have the impression that stick chairs are comparable in price to Welsh dressers, which is incredible considering the widespread appeal of the latter over such a long period. However, over the half century that I have been buying and selling both stick chairs and dressers, this has often been the case, with each having its merits and each its own presence. The dearest dressers have generally been more expensive than the dearest chairs, but there has always been a close correlation. As the price of dressers – along with most large pieces of furniture – has fallen and the price of stick chairs has remained steady, the gap has closed. Perhaps more people buy dressers, but those that buy stick chairs buy more than one. Today you might expect to pay between £3,000 and £6,000 for a good example of either, with the most unusual reaching five figures. 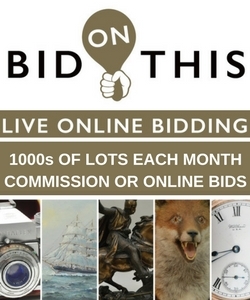 With both categories, however, original pieces are available for less than £1,200 and smaller chairs without arms will usually be in the hundreds. Meanwhile, furnishing pieces – perfectly acceptable from a functional viewpoint but not quite good enough for the collector – are plentiful and good value. As with any category, as primitive furniture becomes more valuable so the terrain becomes more dangerous. Many chairs have had the odd leg or spindle replaced over their lifetime of service, which is fine. But many more come onto the market with totally fresh legs or backs, the crimes disguised by extensive painting or, conversely, stripping back to the wood and complete refinishing. At the extreme, copies are being made and painted in China and sold through showground fairs, gradually filtering through to the trade. They may or may not start as honest replicas but they quickly end up as fakes. The advice is always the same, to learn about your subject and try to examine as many authentic examples as possible. An archetypal yoke-back, in oak, with an armrest made from a single naturally bent branch, which is shaped on the top and terminates in large circular handrests. The seat is 10cm (3in)thick. Such chairs were used alongside the hearth, the low legs enabling the occupant to sit below the smoke level. The painted finish is worn back into the reddish timber and the resultant surface has a natural glow. Cardiganshire, circa 1720 -1760. Writer’s Collection.